To say that Palm Beach State College alumna and employee Janet DeVries Naughton is interested in Palm Beach County history is an understatement. 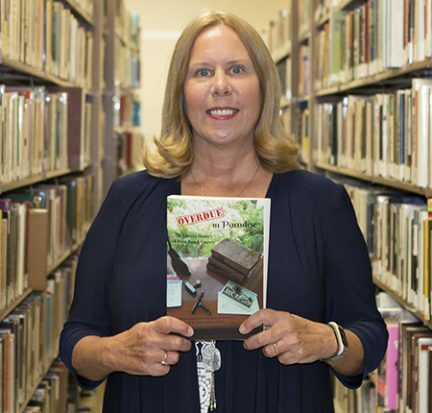 Naughton, a librarian and associate professor at the College’s Lake Worth campus, is not only curious, she has devoted many years of her free time to author or co-author 10 published books on the topic. She’s also contributed chapters to Florida history anthologies published by her colleagues. which is on display at the library, was created to encourage reading. 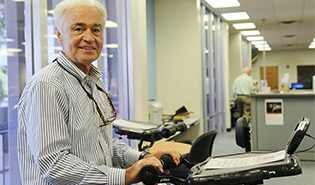 When Brian Kelley first walked into the library at Palm Beach Community College in 1988, his first question was where are the computers? In the spring of 1989, Joanne Cameron walked into a large empty room that was to become part of the new Limestone Creek Elementary School in Jupiter. Her task: to set up a library from scratch. 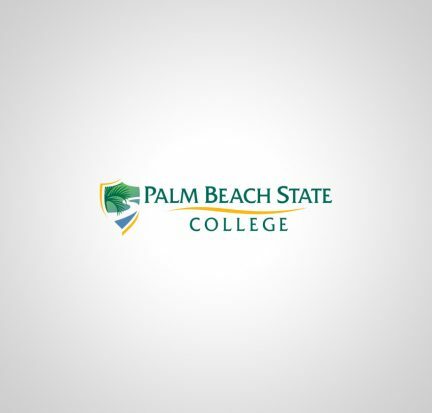 The Palm Beach State College chapter of the Association of Florida Colleges and the Library Learning Resource Center will hold their annual book sale during National Library Week, which runs April 13-19. The book sale will be held April 14 and 15 on the Lake Worth campus.